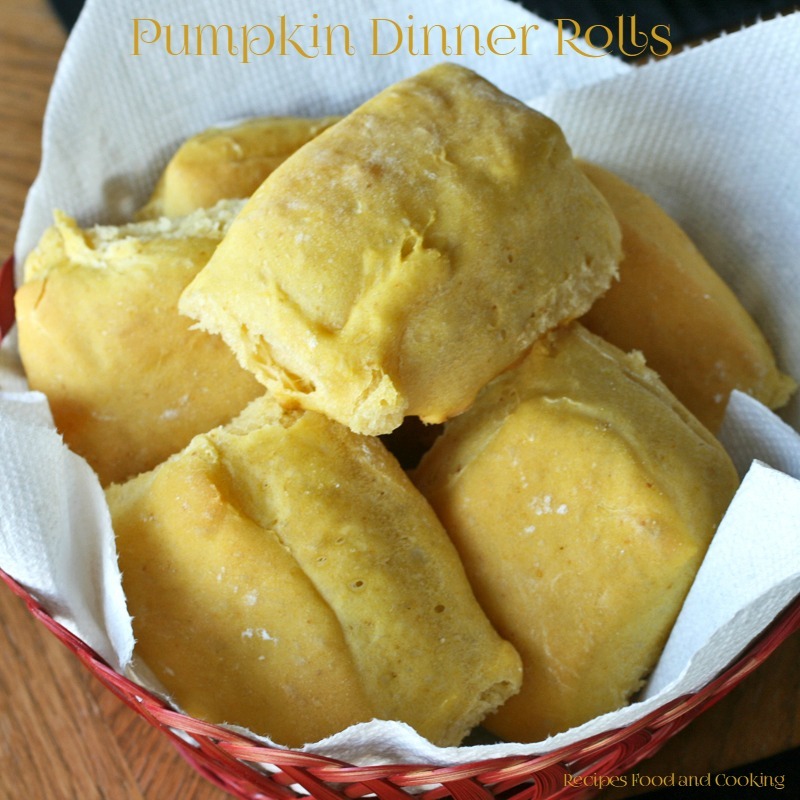 I think you will love these Pumpkin Dinner Rolls. 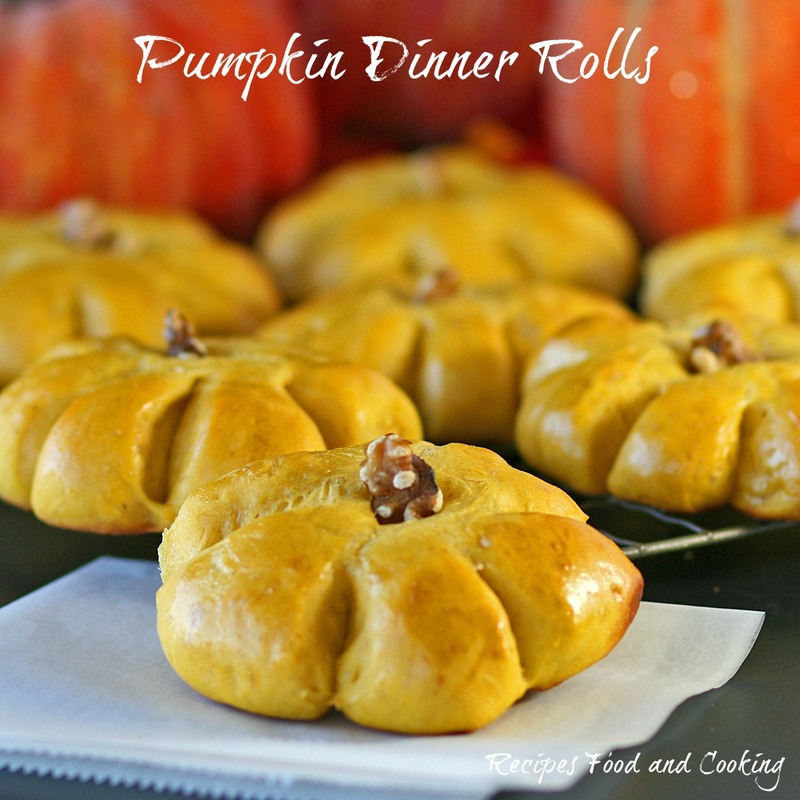 They are perfect for Thanksgiving dinner. 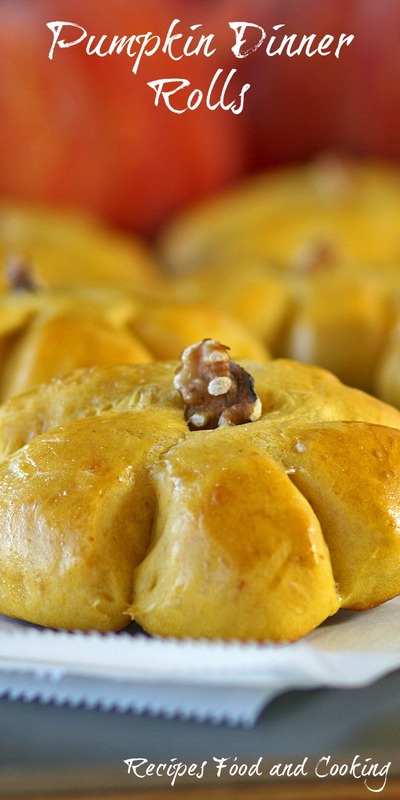 They are soft and light with a taste of pumpkin. Just think about how festive they will look on your holiday table. The easiest way to cut the rolls is to make the cuts at 3, 6, 9 and 12 o’clock. I used a pair of kitchen shears. A knife will pull the dough into a shape that won’t make these shaped right. Cut half way towards the center. Then make 4 more cuts in between the first cuts. You will have 8 petals. Brushing the rolls with the egg and water mixture will make the rolls shiny. A few of them had to be recut after rising to make sure the pieces were separate. 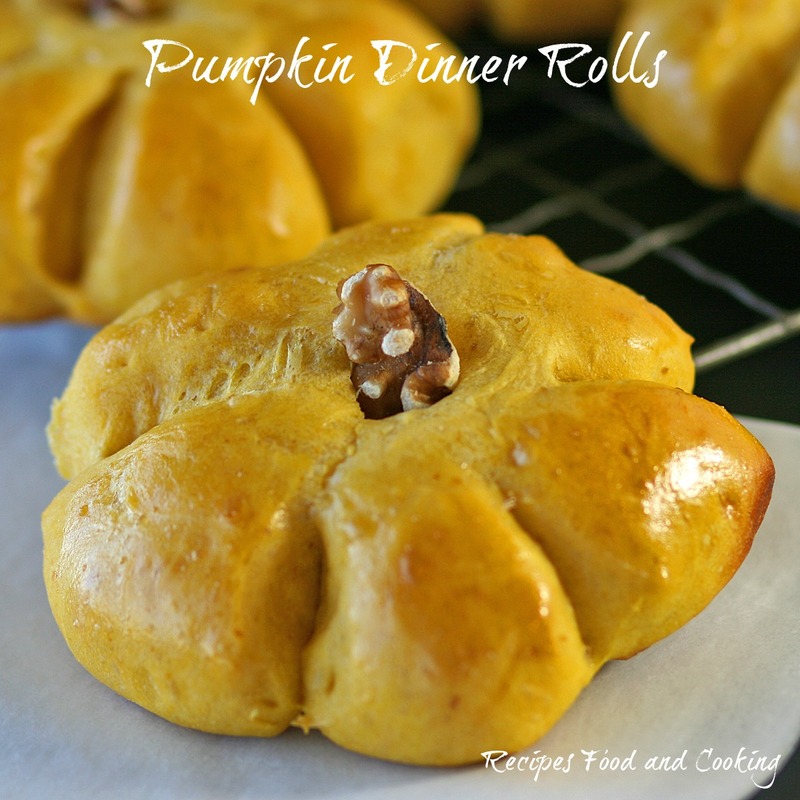 Big soft pumpkin dinner rolls shaped like pumpkins. Perfect for the holiday table. Melt the butter in the microwave. Add the milk and microwave for 15 seconds until milk is barely warm. Add 1 teaspoon of the sugar, yeast and warm water to a small bowl. Stir to combine and let set for 5 minutes until mixture is bubbly. Add the flour, sugar and salt to your work bowl. 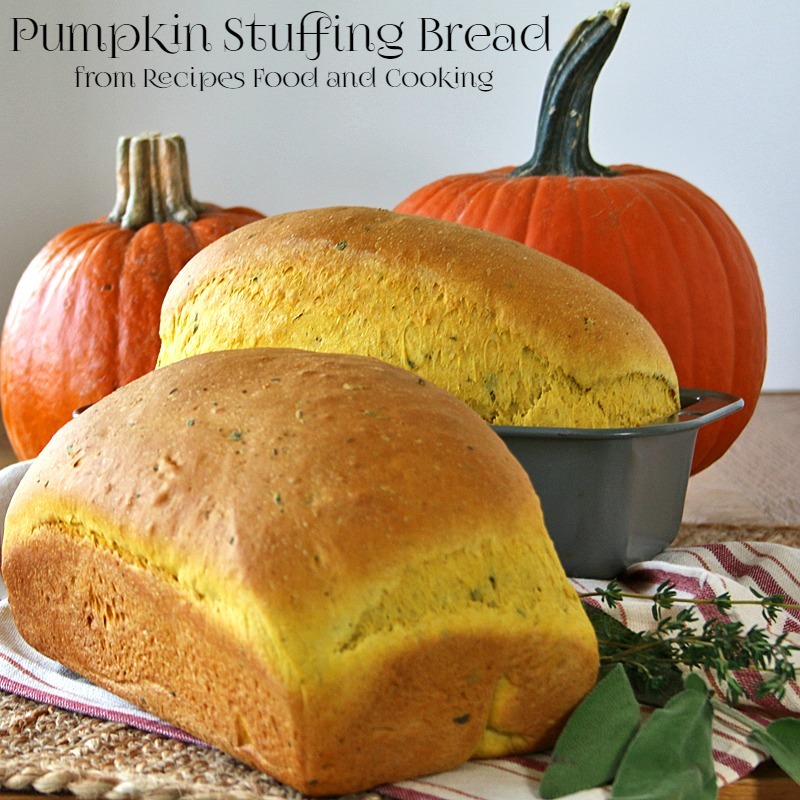 Give it a stir using a spoon or a dough hook to combine all. Add the milk mixture, eggs and pumpkin to the flour mixture. Stir until the mixture is thoroughly combined. Knead the bread on a floured surface or use the dough hook and beat the dough at least 5 minutes. Dough should pull away from the sides of the bowl and become satiny. Cover the bowl and let dough rise until doubled. If you have time punch the dough down and let the dough rise a second time. 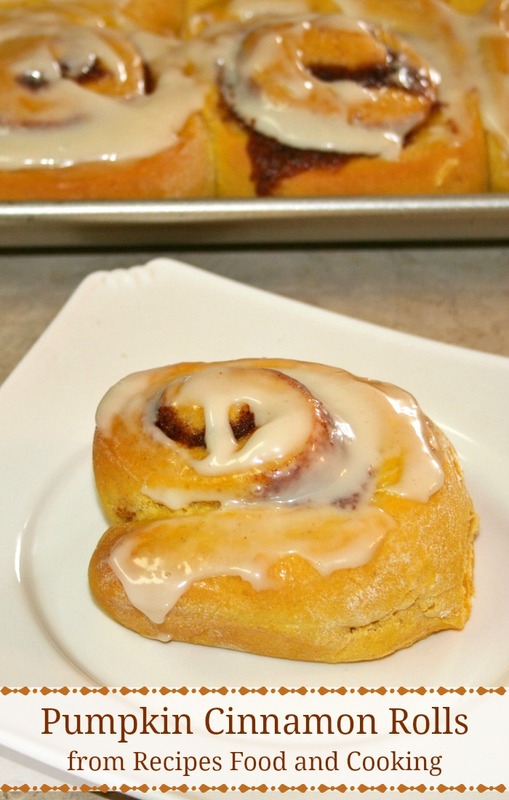 Divide the dough up into 24 pieces about 2 ounces each. Roll into a ball. Flatten the dough slightly. Use some scissors and make 8 cuts halfway in to dough. At this point the rolls will look like a flower. Punch down a hole in the center. Stick a nut in the center for a stem. Cover and let raise until doubled. Combine the egg and water. Beat until mixed together. Brush rolls with a pastry brush on the tops and sides of the rolls. Bake at 350 degrees for about 20 minutes. .